Having two growing up kids, we need to know how to invest for the future, how much money to put in for our kids, and the amount needed for insuring life and health without sacrifice our current lifestyle. I used to be a working mum hence financial wasn’t much an issue for our family. It last until last May when I have quit the job to became a full-time mummy. Since then, our financial pressure has been increasing a one-income family. I realized that husband and I need sit down together to assess our life goals as well as plans for the kids’ future. The way we manage money together has to be helpful to improve our relationships and quality of life. Hence, when I heard that Prudential Relationship Index 2017 was out, I quickly gone through it to see how it would relate to my relationship, and what the advice to make it better is. The second Prudential Relationship Index (PRI) for 2017 shows the state of relationships in Malaysia and across Asia. Apparently, Malaysia ranks sixth on relationship satisfaction among the nine Asian markets surveyed in the 2017 Prudential Relationship Index. It seems like quite behind from Cambodia, Vietnam and other Asian countries. Let’s look into more details of Prudential Relationship Index 2017. 39% of Malaysians whom worry about their family’s financial state if anything were to happen to them. Pathetically, I am one of them; especially now that I am a stay-at-home housewife. I always in the worry for our family’s financial state and I couldn’t imagine if anything were to happen to my spouse. 50% of couples of Malaysia say supporting their children’s education is one of their main financial goal. This is so true, at least for my family and my relatives. As a Chinese, we emphasize on education. Sadly, there aren’t not much choices for further study available here in Malaysia for our children hence we are saving money constantly for their future education fund. 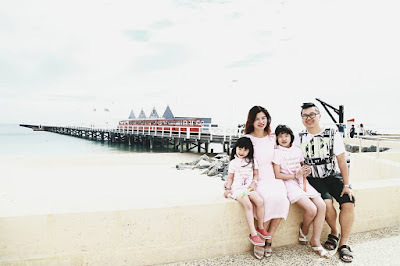 Education is not cheap, hence it is quite normal to see a couple spending thousands Ringgit monthly just to support their kids’ educational fund. 83% Malaysians agree that technological growth has made planning finances better. In this era of information and technology, many financial planning apps could be easily download, install and use. Hubby and I have been using a few app to budget and plan our financial. It is so much easier to navigate and plan for our financial with it. Besides, I had also Take the Relationship Quiz to find out #WhatAreWe? To know how financial planning helps you understand your goals better in terms of why you need to achieve these goals and how they impact other aspects of your life and finances, view the video below that explaining the necessity of financial planning. Feeling interested and wanted to know more? Go to https://www.prudentialrelationshipindex.com/my/ or you could also download the Prudential Relationship Index from [HERE].